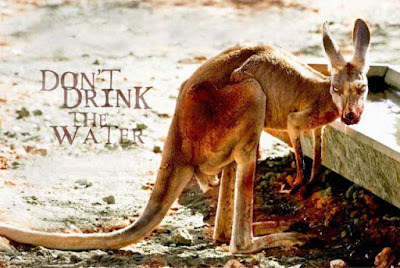 Many moons ago we mentioned that an Australian film crew was making a zombie film, but not any ordinary zombie film....a zombie kangaroo film. Well the time is near for us all to watch the final product as we have the official press release below. 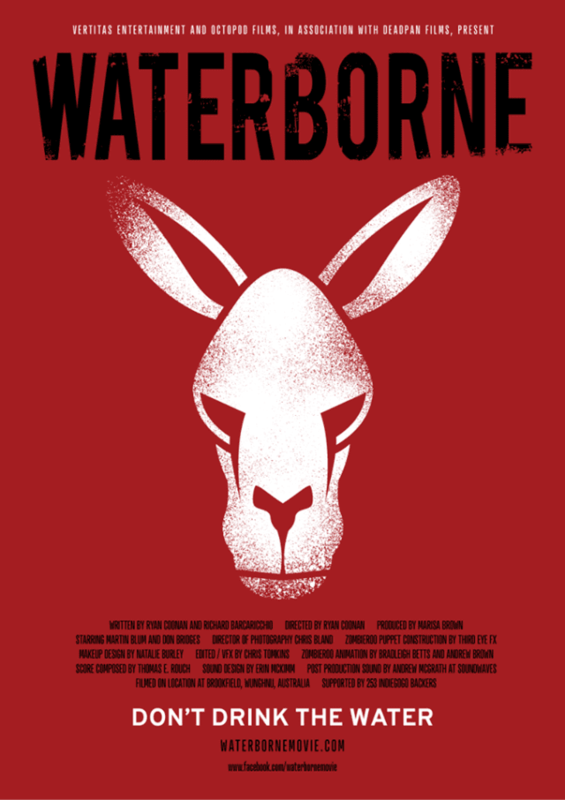 After a rapturous reception at the Opening Night of St Kilda Film Festival in May, award-winning Australian zombie kangaroo short, ‘Waterborne’, will be made available to watch online from midnight on June 15 for a limited time. Written by Ryan Coonan and Richard Barcaricchio, the film has also won several awards including Best Australian Short at the Monster Films’ ‘Monster Fest’ in Melbourne, Best Short at the Abertoir Horror Festival in Wales, Best Microshort Zombie Film at Fear Fete in Missouri, and Best International Horror Short at Buffalo Dreams Fantastic Film Fest.